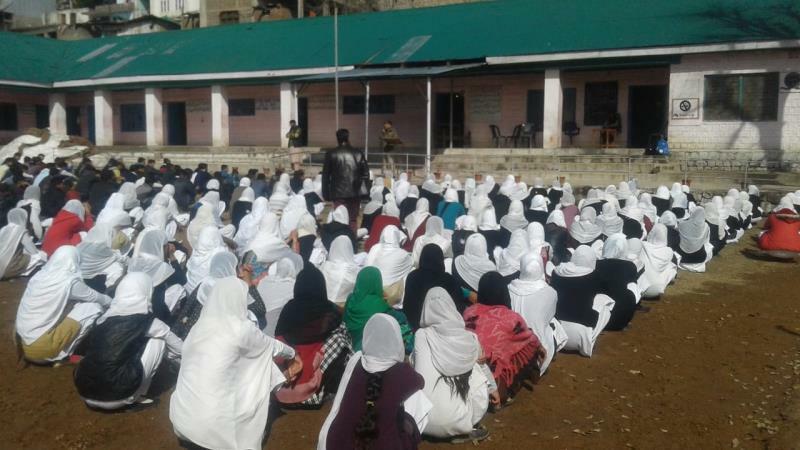 Gool,18 March: Today on 18 March,2019 SDPO,Gool Sh.Mohd Rafi Giri under the supervision of Adl.SP Sh.Sanjay Parihar-JKPS and overall supervision of SSP Ramnan Ms.Anita Sharma organised a career counselling and anti-drugs programme at Govt.Hir Secondary School,Gool.The programme was attended by Principal,staff of the school and large number of students. 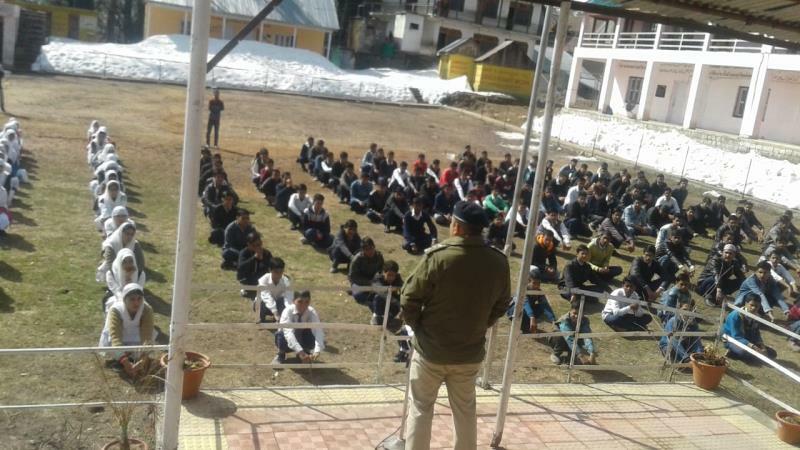 SDPO,Gool while speaking on the occassion said that the purpose behind conducting this career counseling and anti-drugs awareness programme is that the J&K Police is endeavoured to have a constructive and purposeful engagement for the youth. The youths of today have lots of potentials but due to lack of information and guidance, the talent and skill remain untapped. So, we are putting our effort to bridge the gap of information and guidance so that the students can choose the best as per their capabilities and do not fall pray to the evil of drugs. He further added that such initiative will be continued in coming days with more focus keeping in mind the feedback from today’s event to make it more resourceful and better. The students were well informed with career choices and negative impact of drugs in the lives of the people. Along with entry schemes at officers level in different forces, eligibility criteria, how to prepare for the examination, physical test, examination level, the students were also motivated to dream, work and achieve it. Senior Lecturer in the school Sh. Manzoor Tragwal, appreciated SDPO,Gool for such initiative which will prove beneficial to all the students. He said that the students are the future of the nation and all their energies and capacities should be utilized for the betterment of society. Student said that the day was very productive as all information related to career opportunities in armed forces were made aware. Teaching faculty and students expressed gratitude to the District Police Ramban for organising the career counseling which is in need. The students expressed the need of such guidance and career counselling at all levels so that they can opt and pursue easily. Such initiative at all levels would play a key role in transforming the destiny of the students and ensure that they leave an indelible imprint in any field they go.